Konnichiwa People! Welcome to DREAM DRIFT DRIVE, a fansite for Shuichi Shigeno as well as it is a fanlisting! Please join if you are a fan of the well-known & amazing manga-ka! Do enjoy the atmosphere here and stay as long as you like!You can navigate through my site too! Also,if you have something to say to me,sign in the guestbook and give your email so that I may reply to you.If your messgae is private,you can use the Contact form. [Warning: The fanlisting is only for Shuichi Shigeno,NOT for the anime he made,Initial D.] ALTHOUGH I THINK YOU SHOULD JOIN EVEN IF YOU DON'T KNOW SHUICHI SHIGENO (well,I think you should already know since I did introduce him...) WHAT'S IMPORATNT IS THAT YOU LIKE INITIAL D!!! besides,it's His work anyway....Really Really Really!!! Shuichi Shigeno (重野 秀一 or しげの 秀一 Shigeno Shūichi) is a mangaka. Shigeno is famous for the anime and manga, Initial D. Shigeno has also created Bari Bari Densetsu, Dopkan and Tunnel nuketara Sky Blue (First Love In Summer), 1992 all prior to the manga that would make him famous in 1995. He owns a 1980s Toyota Sprinter Trueno with a panda white color scheme like his manga's main character Takumi.He also owns a Steel Blue Mica-colored 1999 WRX Type STi Version 5 with a STi sports bumper (a part from the STi sport catalogue made to look like the 22B STi bumper but fits non-wide body Imprezas) just like the main character's father, Bunta. 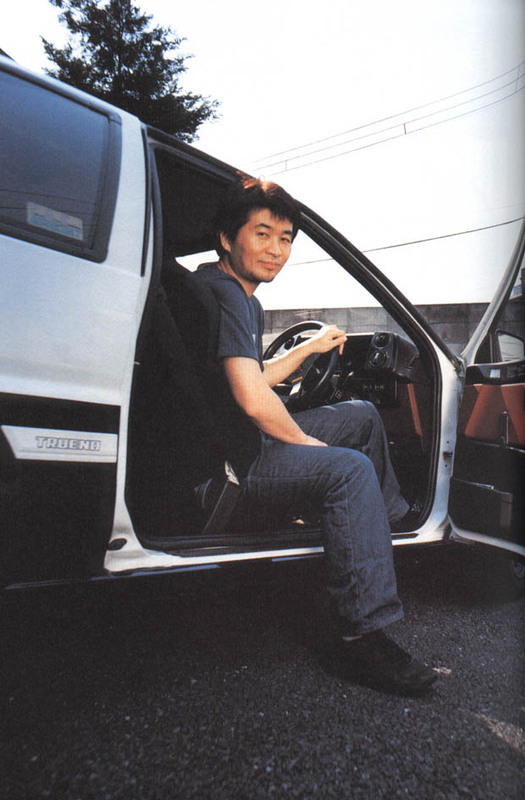 Initial D creator Shuichi Shigeno was born on May 8th, 1958, and made his manga-ka ("manga creator") debut with Oretachi Zekkouchou ("Alive and Kicking") in 1981. Shigeno took his love for motorcycles and brought it to his first big hit, Bari Bari Densetsu ("Motorcycle Legend"), which premiered in 1983 and ran for 38 volumes. 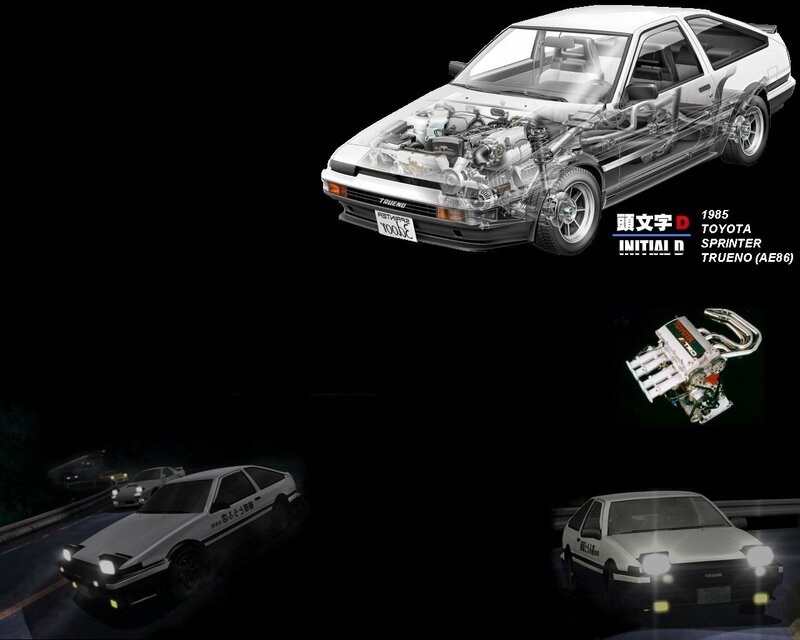 For Initial D, Shigeno shifted his focus to cars, in part inspired by the exploits of Keiichi Tsuchiya, Japan's "Drift King", who favors a Toyota AE86 Trueno, just like Initial D's main character Takumi Fujiwara. Something magical happens when Shigeno-sensei touches pencil to paper and begins to render the street poetics of drifting,oversteering, powersliding and studder cuts. His visiual palette in InitialD is grace personified - characters,cars and movement leap off the page with power... and with economy of stroke that is stunning. A veteran manga-ka (manga artist) , Shigeno-sensei is also known as the creator of an earlier series on motorbike racing called Bari Bari Densetsu. So there! Now you see,even these people I don't know say's he's GREAT!